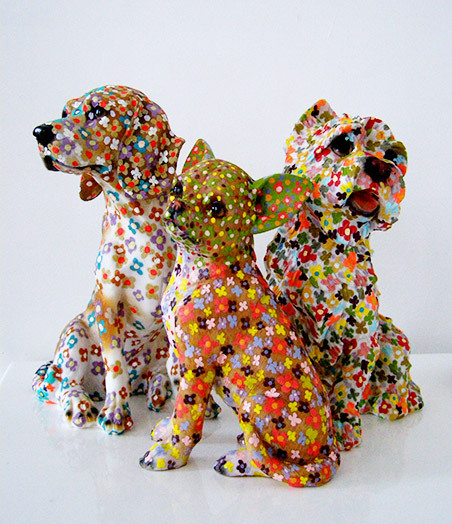 The applied patterning to my realistic representation of three breeds of dogs enlivens the surfaces and transforms them from just dogs to emblems of dogs. Mans best friend goes Pop. I have been using images of dogs in my art for many years.